This Collagen Anti-Ageing 6 Patches Box is an anti-wrinkle treatment using Pure Native Collagen to enhance the fragile skin of the face, lower eye and eyelid simultaneously. Their semi- circular form has been especially designed for eye and mouth contours, and for "tell tale" crow's feet, for dehydrated skin showing expression lines and signs of ageing. The pure Native Collagen active ingredients are released when liquid is added. 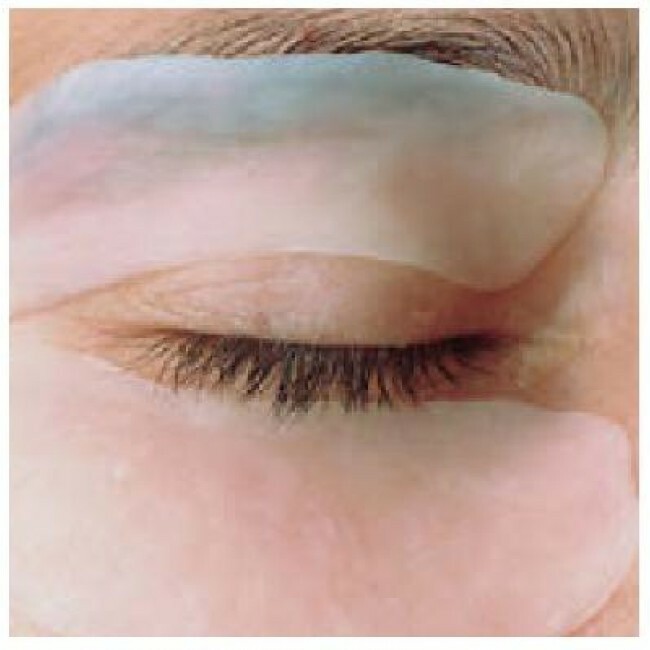 Just one treatment provides the skin with an optimum of moisture, improving the wrinkle profile. Hydration levels are increased by up to 180%, this increase is clinically proven to last for up to 14 days. Collagen is the most common protein in the human body. As a natural element of the human skin, it is responsible for elasticity, moisture retention and skin smoothness.